It might seem obvious, but the second thing that is needed to help people find jobs…is jobs. No amount of training will be enough if there are not enough jobs to fill. I have mentioned some of the things the Fed does to help communities, but the most important thing we do is to use monetary policy to promote a stronger economy. It may seem quaint now, but at the time the Fed had just started to taper QE3 (MBS) and QE4 (UST), and there were concerns that they were removing “accommodation” perhaps a bit too hastily. The unemployment rate at the time, Yellen pointed out, was still 6.7%. In this context, recent steps by the Fed to reduce the rate of new securities purchases are not a lessening of this commitment, only a judgment that recent progress in the labor market means our aid for the recovery need not grow as quickly. Earlier this month, the Fed reiterated its overall commitment to maintain extraordinary support for the recovery for some time to come. 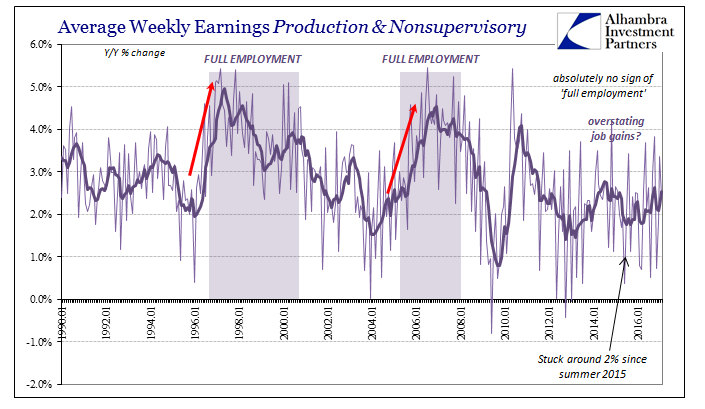 We think we’re moving along the same course we’ve been on, but it is one that involves gradual tightening in the labor market. I would describe some measures of wage growth as having moved up some. Some measures haven’t moved up, but there’s is also suggestive of a strengthening labor market. Gradual tightening? Suggestive? How long does it take? In March 2014 there were signs that slack was diminishing if not nearly diminished enough. In March 2017, there are still signs. This is nothing more than obfuscation of the first order. She is using the unemployment rate as Fed officials have for the last several years, to suggest an economy that cannot and will not be found outside those particular BLS data points. What’s more, she knows it. That is why the Fed raised rates for a third time yesterday, as it has nothing to do with the continued precarious state of the US economy. Three years post taper is far more than enough to realize that which was once claimed, recovery, is now impossible without something like divine intervention (which would still need to take the form of currency reform to actually be successful). All there will ever be from here on is the “suggestive” about what the public believes of recovery and what Janet Yellen clearly refuses to clear up as to how wrong that expectation is. She’s purposely avoiding the confessional. 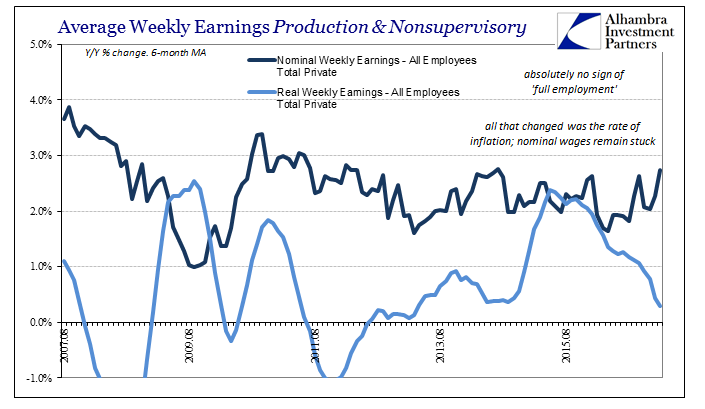 According to the BLS, real weekly earnings fell 0.3% year-over-year in February after falling 0.5% in January. Those are the first consecutive monthly declines since the dark days of 2012, pre-QE3. The only significant wage improvement in the past six years was starting in the middle of 2014 when commodity prices especially oil crashed – and that was an indication of just how wrong Fed officials like Yellen were about everything from money to economy. The American people have benefited more from the Fed’s mistakes than its so-called accommodation. But that was all very minor in the grand scheme of recovery. 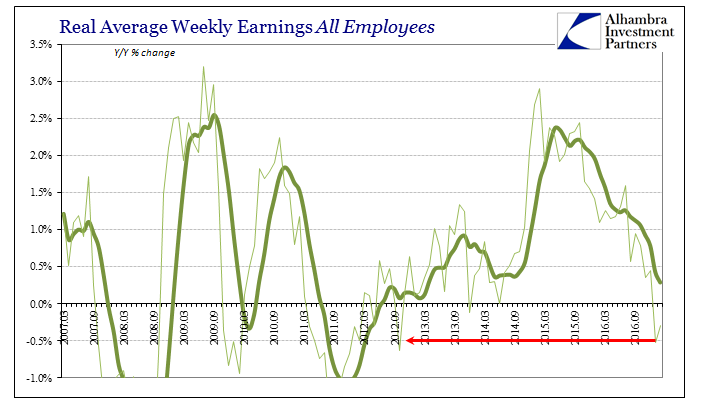 Real weekly earnings even with that “real” increase in early 2015 have not even kept up with a 1% annual rate of growth – let alone a recovery-like 2% or better. That’s what is truly striking about the past three years and the unemployment rate, the lack of inarguable and explosive growth that shows up coincident to every recovery in history. 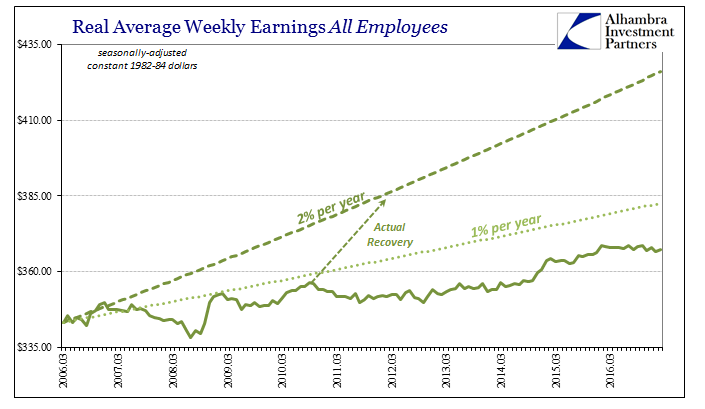 Nominal earnings jump bringing up real earnings so that the fruits of actual recovery are widely distributed and redistributed so that growth is sustainable. The lack of wage and earnings growth simply means that any improvement, relatively speaking, can be at best temporary – like 2014. It seems as if there is a lot of confusion about monetary policy because it is believed monetary policy is tied to economic strength or weakness; therefore it seems contradictory that the Fed would raise rates when there is only weakness (let alone still ten years of no recovery). This is simply a false impression, but one, again, the Fed is allowing to continue for its own reasons. Monetary policy is tied only to the output gap, to which “slack” or its end is an indication. If the output gap is gone, then monetary policy is gone. Yellen confirmed exactly that also at the media gathering yesterday. Our — you know, as you said, the data have not notably strengthened. I — there’s noise always in the data from quarter to quarter. But we haven’t changed our view of the outlook.  We think we’re on the same path, not — we haven’t boosted the outlook, projected faster growth. Translation: the output gap is closed even though what resulted is nothing like what was forecast and promised even just three years ago. There is only weakness from here on until Yellen and all the economists like her are removed and monetary reform (replacing eurodollars) is enacted. But at least there will be “signs” of labor improvement.